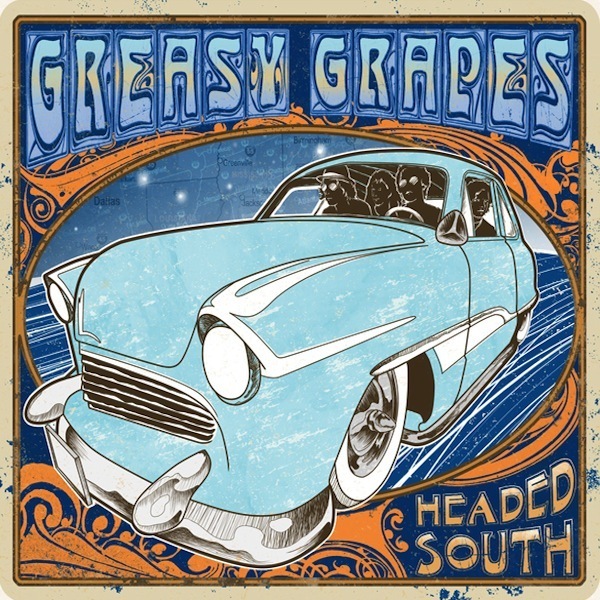 Greasy Grapes’ second studio album. A musical soundscape road trip across the deep south, Highway 61 Blues meets New Orleans Mardi Gras. The album was mixed/co-produced by Antoine Øpeng and tracked live in the studio in analog tape. Antoine Øpeng: Guitars, Banjo, Dobro, Harmonica. Engineered by Francisco Domingo, Mastering by Bob Katz. "Headed South is the second album of Greasy Grapes, who are slowly breaking into new grounds in Caracas' rock n' roll scene. It's a natural progression after their debut At the Back of the Hill (2009) and the results are simply wonderful, with slick slide guitar solos and good vocal performances. The album is a very honest, organic and believable piece and it maybe doesn't have much of a Venezuelan identity, but this awesome band has more than a clear idea than any other band in Venezuela on how to play great country / rock n' roll."